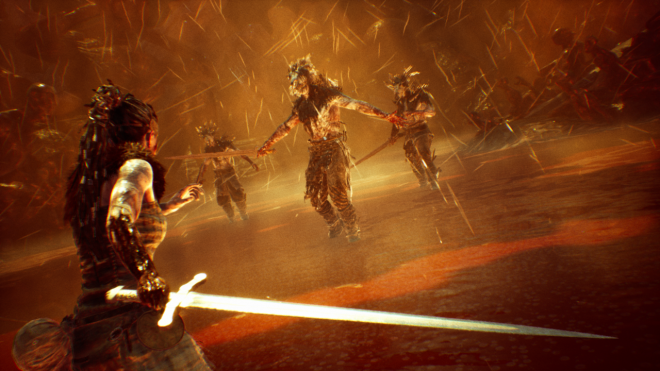 A game about a warrior raging against the Gods to save a lost love is as cliche as a video game setup can get, but Hellblade: Senua’s Sacrifice does it very differently. Beyond coping with recent loss and a tortured past, the protagonist also deals with psychosis, which thanks to the game’s historical setting is only referred to as her “darkness.” The lengths that the developer went through to create an accurate portrayal is impressive, including going so far as to consult actual doctors and people with psychosis. 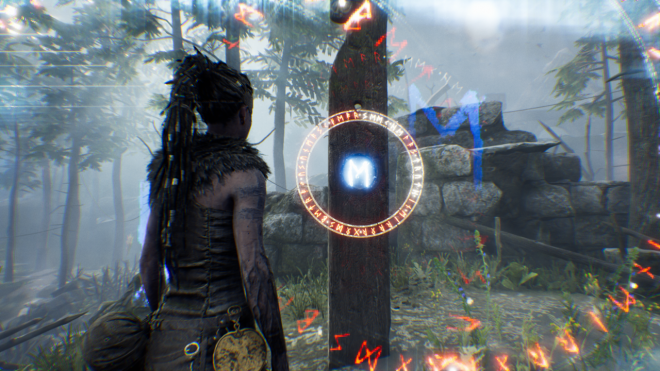 Senua’s journey into Helheim to retrieve and save her deceased lover’s soul is rightfully fantastical, but its honest view of its protagonist makes it feel incredibly grounded. This is a game I’ve been interested in for a while, but upon tackling this review, I realized I was in way over my head. While I know nothing about psychosis, in particular, I do know about struggling with my darkness. From my perspective the game captures the toll mental health extremely well, from the inflicted’s internal battles to its effect on those around them. This made writing about the game hard; no matter how hard I tried looking at the game objectively it eventually leads down a road of contemplating my emotional reactions to certain scenes. I’ve come to realize this is actually the game’s biggest strength; whether or not you relate to the protagonist, this is one of the heaviest games I’ve played in quite some time. All in my head – Upon starting the game, you’re greeted with a message recommending the use of headphones for its 3D audio. If it’s technologically possible, I’d say they should have made it a requirement. Senua’s psychosis manifests itself as numerous voices in her head, surrounding her with their constant chatter. Some may sound far away mocking their host, while another whispers guidance directly into her ear. It’s an amazing (and eerily uncomfortable) use of sound that really puts you in Senua’s head, which is lost in translation using standard television speakers. What’s not lost is every other way they portray Senua’s inner battle. In cutscenes, she frequently faces the screen, staring at the player while talking to someone only she can see. The motion capture used for her performance is astounding, and the close-ups let you see even the smallest movements in her face. It’s an emotional and impactful performance paired with great writing. While rarely seen, the supporting cast does a great job playing off the lead, whether they are the frightening-sounding antagonist or a calm voice of reason. The central tale of a warrior dealing with loss and trying to overcome her mental illness is impeccably crafted in a way rarely seen in any medium, let alone video games. Valhalla – The game world is stunningly beautiful. 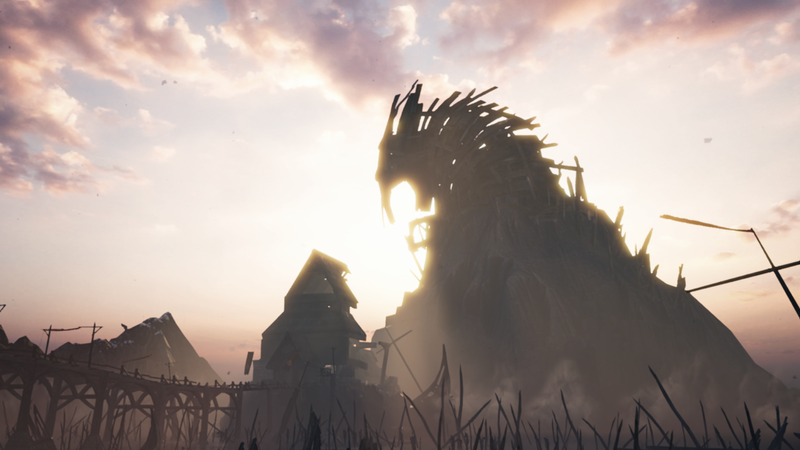 The game takes inspiration from Celtic and Norse history and mythology, then distorts them by peering through Senua’s eyes. There are gorgeous photo-realistic landscapes and nightmarish realms, and every environment is breathtaking in scale and detail. The scenery exists for more than to just be admired, as most of the game’s puzzles involve examining the world around you. The most common objective is to line up your focal point with objects in the environment to recreate the shape of a rune, similar to Ridder’s question marks in Batman: Arkham Asylum. Puzzles range the gambit from navigation to an optical illusion, opting for tasks that involve perception rather than interaction. They’re rather straightforward but fun, especially when looking at something the right way can drastically change the world around you. Ragnarok – While up to this point the game may sound rather calm, there’s actually a healthy dose of action as well. Combat encounters take up less than half the game, but when they show up they go all out. It controls like your standard action title, with heavy attacks, light attacks, blocks, parries and dodges. The combat system isn’t as robust as more action-heavy titles, but it’s easy to pick up systems work in this game’s favor. Fighting is less button-mashing combos and more slow and methodical, requiring you to focus and react to your enemy’s tactics. Every swing of your sword feels weighty and impactful, and transversely every enemy attack looks really painful. Battles feel quite cinematic, as the camera draws in close behind Senua and focuses purely on the enemy ahead. Combat is at it’s best during its few but memorable boss battles, as you go up against vile beasts or gods twice your size in a grand arena backed by some great music. Still a game – While this is a fantastic work of art, a technical marvel it is not. In my playthrough I encountered numerous bugs. Texture pop-in, cameras glitching behind walls, sounds not playing, animations not playing, the list goes on. These problems seemed to happen more after a respawn, as if the game was never prepared for the player to die. While the more frequent issues were of the immersion-breaking variety, a few game-breaking ones occurred too. The most hilarious was my experience with a set piece in a burning town. It should have been a simple matter of running in a straight line, but it took me three tries to complete because I died twice in a row immediately before the exit. Senua dropped to the ground and rolled around like she was on fire, except she was completely unharmed. There was also a couple instance of controls not working properly, and a minor loss of collectible progress upon loading a save. It’s a shame the game’s engine cannot hold up the experience the developers were trying to create, although you could just pretend the bugs are just further manifestations of Senua’s psychosis. Watch out! Behind you! – My enjoyment of the game’s combat was brought down by three major caveats. One, it’s cinematic style is amazing, except that you can’t see anyone who’s not directly in front of you. To compensate for this, a voice will tell Senua when she’s being attacked from behind. Sounds good on paper, but in practice the window between voice and hit is so small you need to react immediately; if you’re in the middle of an attack, you’re out of luck. Two, losing enough health or getting knocked down forces you to fight for a second wind by mashing buttons. This is an annoying mechanic, especially near the end of the game where enemies are more abundant. The third and smallest issue is checkpoint placement, as they’re occasionally too spread out. I’d die in combat just to re-do an action set piece or long walk in order to get back to that fight, which isn’t ideal but only happened a couple times. 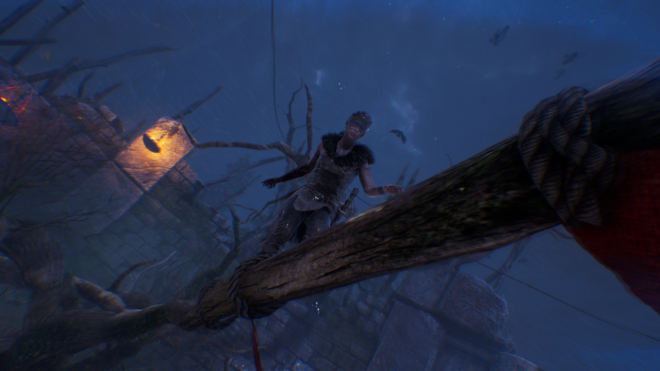 As a game, Hellblade: Senua’s Sacrifice is the cross between a puzzle-lite walking simulator and a brutal action-adventure. Despite some mild design and middling technical flaws, it balances both aspects rather well. As a narrative, this is one fantastic experience. It’s an honest, challenging look at battling mental illness that will stick with you long after the credits roll. It’s as beautiful as it is soul-crushing, making it a must play for anyone who still has a soul to crush. Hellblade: Senua’s Sacrifice was developed and published by Ninja Theory. It was released April 11, 2018, for $29.99. A copy was provided for review purposes.